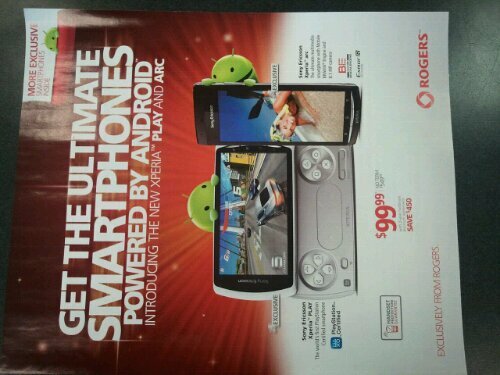 A new flyer has shown up at Rogers stores showing off it’s newly exclusive android handsets the Sony Arc and Play! With a launch date in just a couple days we’re excited to soon be getting our hands on these two new phones! 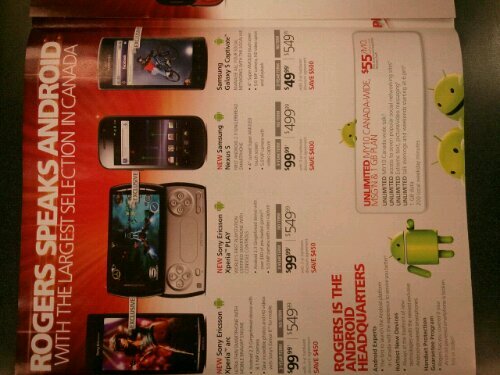 Both with a $99 price tag is very tempting! Take a look and check back with us for a hands on and review in a few days!